The 2019 Dodge Challenger SRT Hellcat Redeye: the test drive is a miraculous muscle car. Remember when 707 HP seemed like a lot? That was way back in 2015, when Dodge brought us the Challenger SRT Hellcat and its 6.2-liter supercharged V8. At that time, it was the most powerful American production car ever. A title it kept until the Challenger SRT Demon arrived last year with an 808 HP version of the engine that could be boosted to 840 HP with a special control module and a tank full of nutritious 100 octane fuel. Unlike the Hellcat, which was a huge success that Dodge produced as fast as the car could cover a quarter mile, the Demon was limited to just 3,300 models, and 300 of those were delivered for Canada. 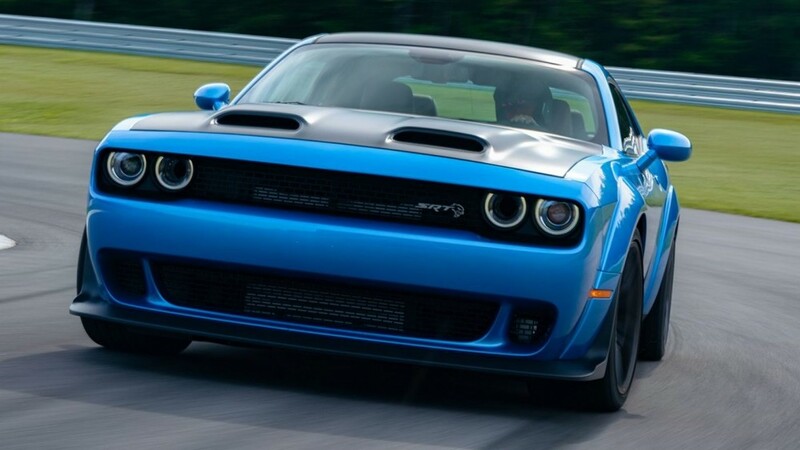 But the Demon’s ghost lives on in the 2019 Challenger SRT Hellcat Redeye, which is a 797 HP mashup of the two models that starts at $72,745 and is being offered with no production restrictions. If you want a factory-fresh car with more power today, prepare to spend 10 times over as much. The Redeye’s engine comes with the beefed-up pistons, larger 2.7-liter supercharger and twin fuel-pumps from the Demon, along with an air intake system that’s fed in part by a retro twin-snorkel hood. The force of power that comes out of it is channeled through an 8-speed automatic transmission and a drivetrain that’s been enhanced with new prop and half shafts that can better handle its 707 lb-ft of torque. If you want a manual Hellcat, you’ll have to downgrade to the standard version, which is now rated at 717 HP. What the Redeye doesn’t have is the Demon’s racing-style transmission brake, or its vaunted Drag mode, which uses the computer-controlled dampers to facilitate weight transfer under hard acceleration from a standstill. However, it does have launch control and a launch assist system that does its best to reduce wheel hop once you’re on the move. The Redeye is comes with additional add-ons, such as a line-lock feature that holds just the front brakes as you do a burnout to warm up the rear tires. The sizes are 275 mm wide on standard cars and 305 mm with the optional $6,000 widebody package. The extra rubber on the optional package is almost a necessity, especially when the surface gets slick. Unfortunately, that was the case at the Monticello Motor Club with a Redeye on a cold and rainy day. 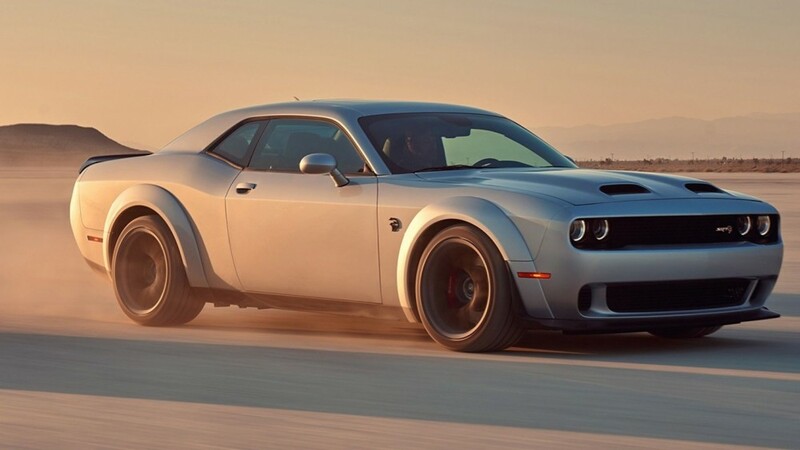 It couldn’t be confirmed on Dodge’s claims that it can do a 10.8-second quarter-mile and hit a top speed of 203 mph. The traction management systems impressed in the rainy conditions and it accelerated as you’d expect once the tires gauged. With the exhaust screaming and the supercharger howling, it’s a singular experience in a world increasingly full of supercars powered by muffled turbocharged engines and whiny electric motors. The 3.5-inch wider stance and the Flintstone-spec tires that go with it pay huge dividends in the curves. The Redeye is supernaturally well-behaved for a 4,500-pound vehicle when you need to change direction. Clearly there’s some magic, but what’s really surprising is how good the Redeye is on the street. A majority of cars with front tires this wide, like the Ford Mustang GT Performance Pack 2 and BMW M5, constantly tug at the steering wheel as they tramline along, but the it drives ahead straight and precise like a battleship, or maybe one of the 16-inch rounds fired from one. Surprisingly, the Redeye delivers an astonishing 22 mpg on the highway, where the lighter, sleeker 789 HP Ferrari 812 Superfast only manages 16 mpg. It’s different numbers around town, where it gets 13 mpg, or on an unrestricted Autobahn in Germany, where the Redeye could empty its 18.6-gallon fuel tank in less than 11 minutes at full-throttle. Four years ago it was hard to believe that there’d ever be another car like the Hellcat. But now the only reason I’d tell you not to buy a Redeye is that even in the face of so much change in the car industry, this engine is clearly immortal and there’s little doubt that Dodge will conjure up something even wilder with it soon.